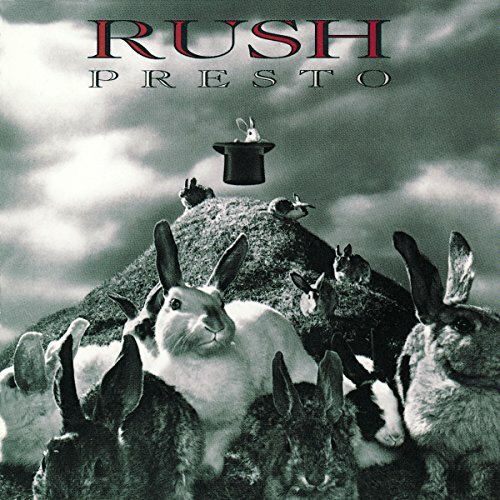 The first image on the page is for Rush - Presto, followed by the original. Also check out the most recent parody covers submitted to the site. I like the way you turned W&G B&W. I would've kept the 'Anti Pesto' text the same, though. Also, can anyone tell me why, when I try to paste links for 'Bad' and 'X&Y', it says 'cannot find an image for the URL specified'? And I am pasting the link for the album, not the image. RGC3: No, I don't think so. I tried pasting a link for 'Hannicap Circus' by Bizarre as a test, and it still didn't work. And NO-ONE's done that one before (probably cuz of the evil DKTOS spirit. Ha!). NOW whaddya think? If it's not finding the image for something, you might be trying a weird version of the album, like a special editior or something. If you can't click on the image when it's on the amazon homepage to see a larger image, it won't allow it, since it can't find the bigger image. Nope, that's not it either. I tried Jay-z's The Black Album, and the picture link worked, and it STILL said 'cannot find an image for the URL specified'. Now what?!?! I think the problem actually might may lay in my actual computer. No it doesn't, I had the same problem a while back, try resetting your browser, it worked for me. Oh, good grief! We're supposed to be commenting on the album, remember?! I, for one, think Miss Huckstep did a fine job.